Australia has often been described as an egalitarian society. Today this is taken for granted these days but consider that Australia was sired from England, the mother of all class structured societies. How did this eventuate? Modern day Australia.Photo credit: Shutterstock. I’ve done a lot of travelling and I must say that Australia is almost unique in its near classless structure. Sure, there are working class and upper class accents and other things that do separate the blue collar workers from the Managing Directors, but all in all it’s not unusual to see an eclectic bunch of mates having a beer together in Australia. One may be a brick layer, the next a lawyer and another a teacher – Australians more often than not will have a beer with anyone provided they are a good laugh and a “good bloke”. This also applies to workers earnings too. There aren’t too many countries in the world where tradesman can have some of the nicest houses in the neighbourhood. You don’t have to be the school dux in Australia to succeed in life generally. The Australian culture of a “fair go” is a critical component of the national psyche. There is no one single answer to this and over 200 years of history has resulted in numerous influences. That said there have been some individuals and groups that stand out: the Eureka stockade is a popular example of this. But I’d like to take you back even further than the Eureka stockade. Back to the very founding of Australia, at least in its modern European sense. Back to a man called Admiral Arthur Phillip. Arthur Phillip was an young orphan in London who was accepted into Greenwich Hospital School, a charity school set up for the orphan children of seafarers. Here Phillip learned the basics of the seafaring trade that would later become his career. In his early years Phillip served on merchant ships, including whaling ships in Spitsbergen, the Norwegian Arctic. Looking for a boost to his career he moved into to the Royal Navy (incidentally in the same year that a young man by the name of James Cook made the same career move) where he served on ships such as the HMS Buckingham where he fought the French in the Battle for Havana in Cuba. 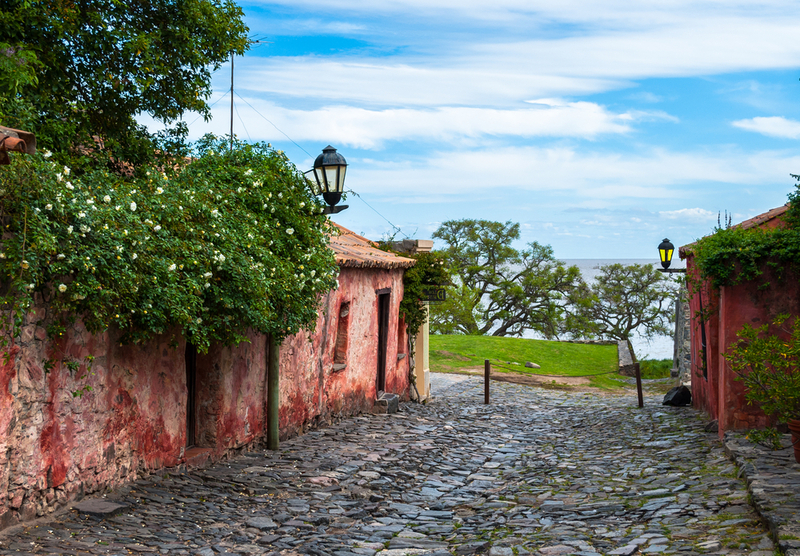 The city of Colonia in Uruguay. Photo credit: Shutterstock. But the British Royal Navy was a very competitive organisation at the time and Phillip was struggling to make his way through the ranks as fast as he wanted to. He started looking for other options. Eventually he was offered a position as a Captain of a ship in the Portuguese Navy (Portugal was close ally of England at the time). Phillip jumped at the chance and he was soon master and commander of the Nossa Senhora do Pilar, a small frigate, but a starting point none the less. The ship transported convicts to Colonia (an Uruguayan city across the River Plate from Buenos Aires) and during this trip the ship was hit by a storm, which resulted in the convicts needing to help make the ship seaworthy. Phillip as a result recommended that the convicts for helping to save the ship by being given a reduction on their sentences (this suggestion would have raised considerable eyebrows at the time). Phillip also observed how the slaves and workers within Portugal’s South American colonies were treated and found the oppressive nature of the colonisation of South America disturbing. During his time in South America Phillip fought against the Spanish in the Spanish–Portuguese War. It was during this war that Phillip firstly made his name, mostly due to the capture of the much larger Spanish Ship, the San Agustín. 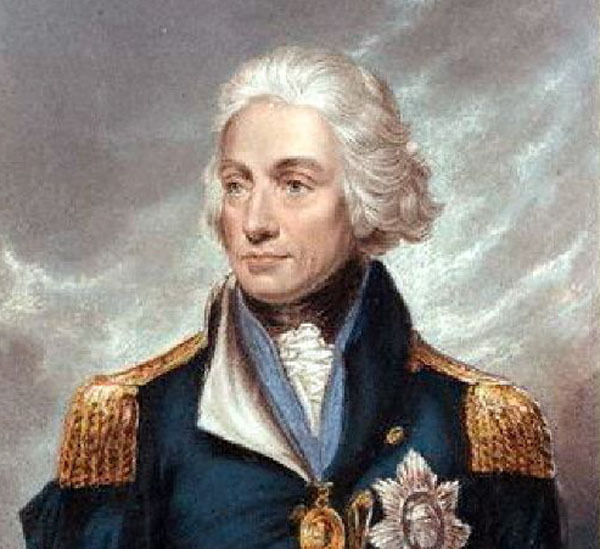 Phillip was lauded for this success and return to England a celebrated Navy Captain and most probably the most knowledge officer of South America within the British Royal Navy. As a result of this success Phillip was appointed the Captain of the supply ship HMS Sirius, the lead ship on what would later be known of as the First Fleet. Crucially he was also named the Governor-designate of the new colony which was to be established in New South Wales, Australia. The first fleet carried 772 convicts to Australia and despite the long eight month journey, all ships arrived safe and well in Botany Bay and subsequently Sydney Harbour, where the colony was established by Arthur Phillip. Rio, the connection between Australia and Rum. Photo credit: Shutterstock. 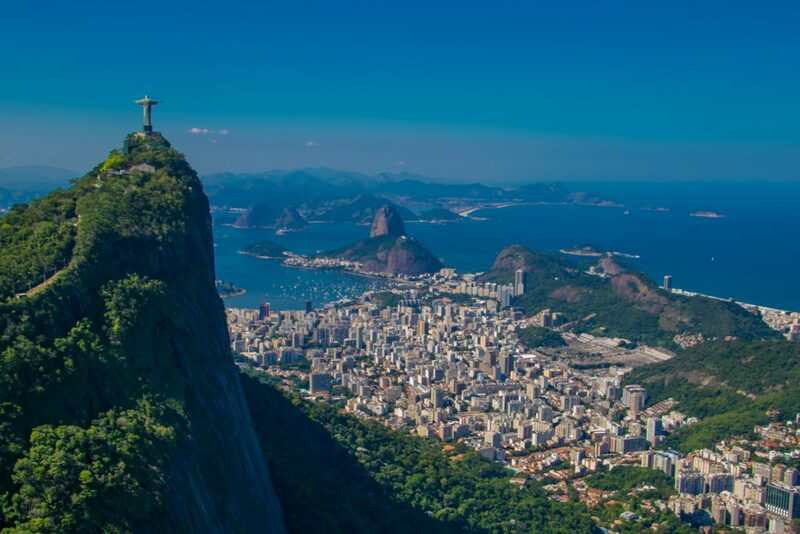 En route to Australia, Phillip and the First Fleet stopped at Rio de Janeiro, Brazil for supplies. In fact it was hear that all the alcohol provisions for the new colony were taken aboard. Being in South America, the only readily available beverage suitable for such long journeys was local rum and vast numbers rum barrels were taken on board. This rum was a staple in early colony life and Australia has had an affection for rum unlike anywhere outside Latin America ever since. This may not seem that monumental to us in today’s terms but it was a world first at the time, well before Britain itself banned slavery in 1833 and 32 years before the US finally banned slavery in 1865. In addition Phillip soon set about rewarding hardworking, reformed convicts with their own farmland. Most Australian’s know about this history but often don’t consider how different this thinking was to what was happening in the rest of the world. It also caused considerable problems from other parts of the British establishment with the British Marines stationed within the colony becoming very upset at what they considered to be dangerous actions. 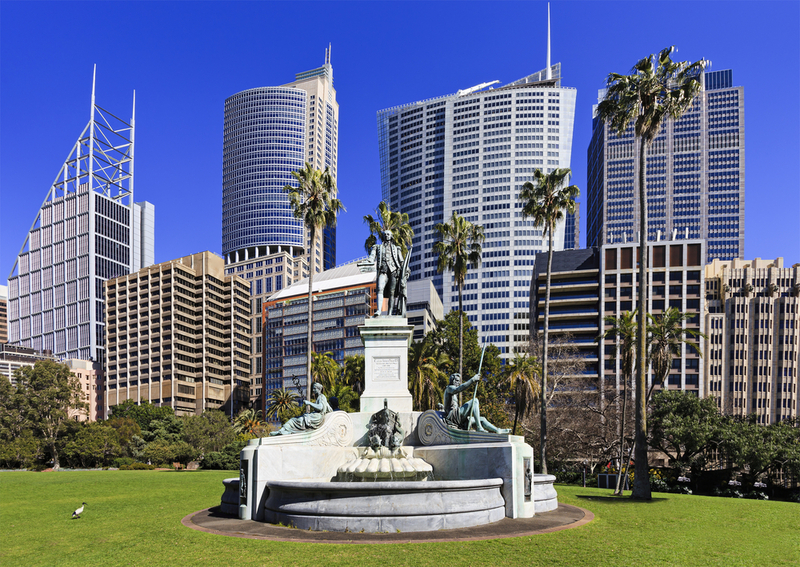 Monument of Captain Arthur Philip in the Royal Botanic Gardens, Sydney.Photo credit: Shutterstock. Much is made of the negative impact on Aboriginals that came about as a result of the First Fleet. Whilst these points are valid, it must be noted that Arthur Phillip himself was determined to maintain friendly relations with the local people and that any colonists who killed the local aboriginals would be hanged. To put this in context, at roughly the same time the Indian War was being undertaken in the USA – resulting in the largest slaughter of Native Americas at any point in US history. Phillip persevered against the subversive efforts from other parts of the British establishment and I would suggest that his early influence was the founding of Australian egalitarianism and a fair go. So next time you have a rum, raise your glass and toast Australia’s father of a fair go: Arthur Phillip! Cheers. 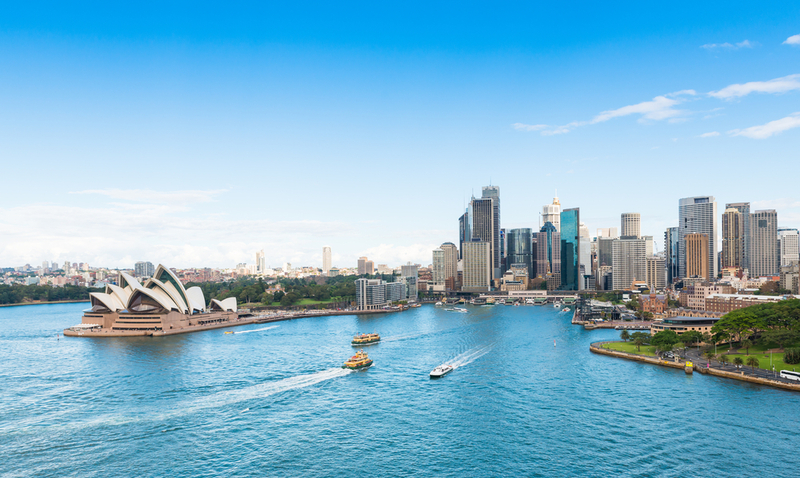 Do you want to visit the continent that influenced Australia? Chimu Adventures offers many tours to South America, click here for more information.